We were all starting to think that 2017 had to be a better year than 2016 but then disaster struck…..the 19th January 2017, the day #CourgetteCrisis trended on Twitter. Seriously?! Are we spiralising out of control already? BBC, The Guardian, The Telegraph and the Daily Mail all reporting on the catastrophe. Shoppers in their droves in uproar on Twitter because they can’t find the one vegetable that will complete their evening meal. Fellow allotmenteers; if you have a glut in the freezer or dehydrated….quick get them on ebay! 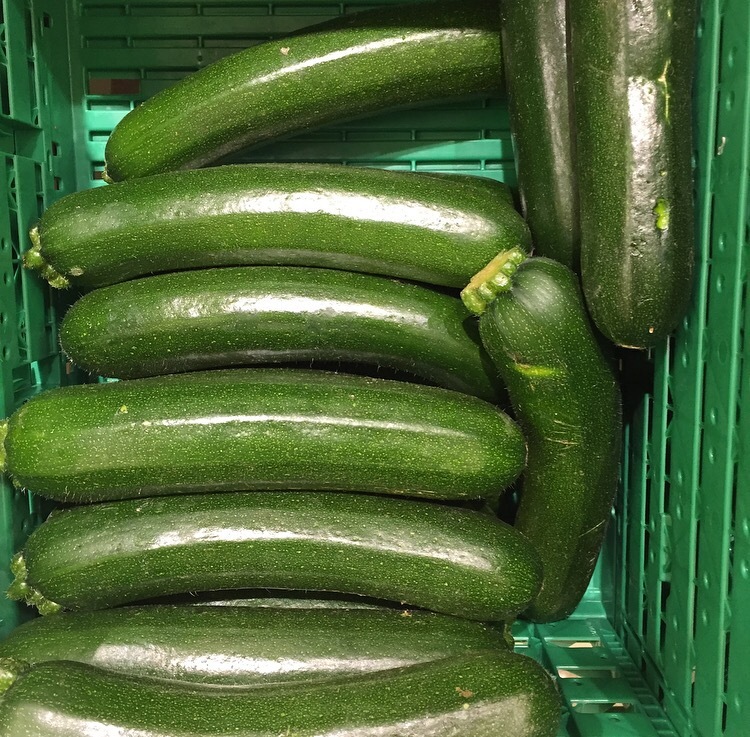 Ok, I will try be serious about this for a minute…it has been reported that wholesale prices for courgettes have more than tripled after unusually cold and wet weather in Spain where most of the European supplies are grown. During the winter months, Spain’s Murcia region supplies 80% of Europe’s fresh produce. But after suffering the heaviest rainfall in 30 years, only 30% of Murcia’s growing fields are useable. The weather has also affected growing conditions in Italy, where they would usually be exporting produce but are having to import themselves. The effects of shortages appear to be causing crisis here in the UK, which imports an estimated 50% of its vegetables and 90% of its fruit. At New Covent Garden market, vegetable seller Mark Gregory told the BBC: “Whereas normally courgettes are £6 or £7 [a crate], they’re now 20-22 quid and we’re struggling to get them. It’s not just courgettes either, spinach, cabbages and iceberg lettuce are also being affected. I had to head to the local Waitrose this morning to see if the epidemic had hit my small market town yet…phew, not quite, I can breathe a sigh of relief. I may have been imagining things though as I saw aisles of many other beautiful and perfectly edible winter vegetables on the shelves, so don’t take my word on it. If you are feeling overwhelmed and unsure how you are going to cope…I worry! Spend an hour grieving over the lack of courgetti you will have on your plate, then put on your big girl or boy pants and go crazy, try any of the other nutritious and naturally delicious vegetables available. I dare you! Or even better still…get an allotment and give growing your own a go! Full blog post on growing your own courgettes coming soon. Brilliant! I can just imagine the panic! The craze will probably have worn off by the summer when allotmenteers are drowning in a sea of courgettes and adding them to every meal though, sadly. I wonder if there’ll be a seed shortage this year because of it? How true are your words. The shops and markets are full of beautiful winter vegetables. Don’t get me wrong I love to grow courgettes on my allotment , we enjoy them through the summer months, but when the weather is cold and miserable you can’t beat a vegetable stew, casserole or roasted winter veg mix. By the way haven’t we already been part of the spiralizing crazy back in the 70’s, I remember curly, twirly everything as a child !!! Thank you! Exactly, winter is all about comfort food and bowls of hot stews and soups full of deliciousness. Yes, I think spiralising is having its revival, were vegetables turned into spaghetti then too? It is madness when you read it but I guess it does effect the economy of those countries. I like them but there is so many tastier veg too. Think I read the same article, our local coop has run out of most salad/courgettes etc but they seem to be the only ones. Shame the 100 plus courgettes we had in the summer wouldn’t freeze! !